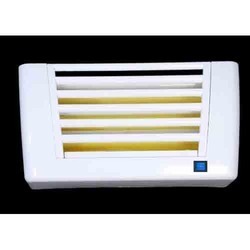 N. S. C. Electronics is a manufacturer and exporter of high quality Fly Killers used in several applications in bottling plants, laboratories, restaurants as well as offices to destroy mosquitoes, flies and other creatures. They come along with electrically charged framework that attracts the flying insects and let them die. These dead creatures are then collected on a definite tray to guarantee easy disposal. It is appreciated for various features, such as no smell, recurring cost, fumes, pollution and respirator problems. Our product range includes Domestic Killer 500, Killer 1000, Killer 3000 and Killer 2000. Fly Killer with Glue Pad offeredcomes in fold-able finish that allows for convenient fitting support. Further, the strong force of glue ensures fly do not escape upon sticking to the pad. Some of its features include strong adhesive that ensures no escape once trapped; provide for safe and non-toxic usage; suitable for use in areas like food factories, restaurants and others; use of quality paperboard that is hard and is non-deformable; product is not affected by climate and can be reusable. Looking for Fly Killers ?